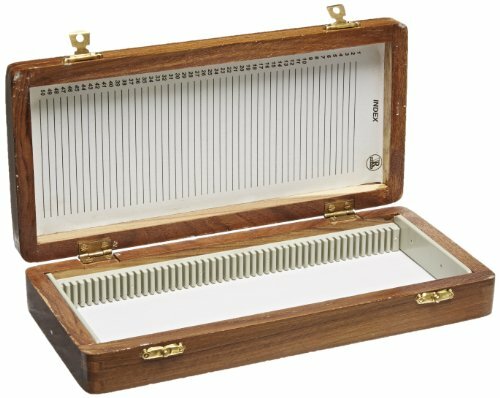 The United Scientific WSB050 wooden slide storage box holds 50, 25 x 75mm microscope slides. The case has numbered slots and a numbered contents sheet for identifying slides. A hinged cover and clasp holds the slides securely. If you have any questions about this product by United Scientific Supplies, contact us by completing and submitting the form below. If you are looking for a specif part number, please include it with your message.